The best security camera is all about providing piece of mind and convenience. You should be able to access it wherever, whenever, plus be able to control it from your other smart devices, like your Amazon Echo Show or Google Home Hub. The security camera you choose to buy shouldn’t be the only line of defense for your home (don’t forget to grab a smart lock and an alarm system, too) but it should be part of a defensive strategy that keeps you and your family safe. Or maybe you just want to make sure that if the worst happens and you do suffer a break-in, you have video evidence of the perpetrators. Whatever your reasons for investing in a security camera, there are plenty of different devices out there for you to choose from. Thanks to recent developments in technology, many security cameras can steam HD-quality video straight to your phone, as well as speak to people in your house over two-way speaker systems. Some security cameras even use algorithms to tell the difference between your dog and a person, meaning you don’t get a notification every time your fluffy children move around the house. In this guide we’ll talk you through the best security cameras that we’ve tried out. We’ll be adding to this list with new devices as we review them, so keep checking back if you don’t see one you that suits you this time round. The Netgear Arlo Pro 2 is called Pro for a reason. This high-end set-up is truly a professional-quality security system for your property, with a price tag to match. 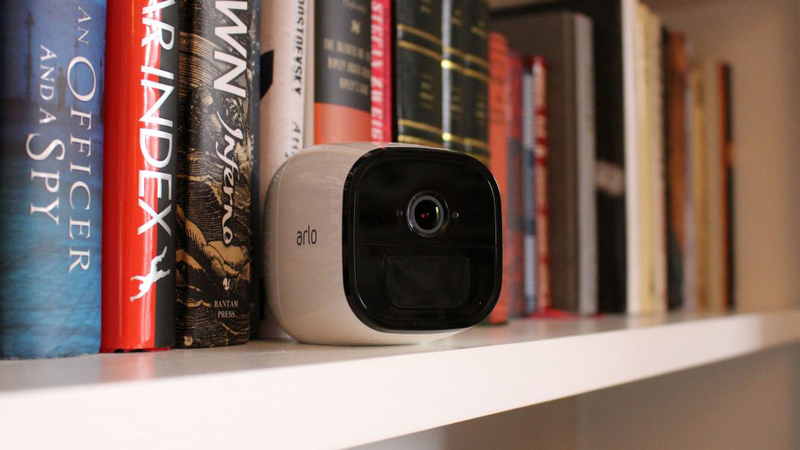 The Arlo Pro 2 is essentially a starter pack, which consists of one hub and two cameras. The cameras are of a high-end and solid build and they’re capable of recording crystal-clear 1080p HD video. It’s worth noting that they do work well both indoors and outdoors, thanks to their IP65 waterproof rating and strong magnetic mounts. Thanks to 8x digital zoom, a ‘smart siren’ and a powerful Night Vision mode, there’s no corner of your home you can’t keep a close eye on from the system’s app or web interface, giving you ultimate peace of mind. The main downside is the set-up, which proved to be tricky. We had a few router incompatibility issues and it’s not the most intuitive security system on the market either. A newcomer to our list, the Ring Stick Up Cam is an absolutely fantastic smart home security camera. It has a sharp 1080p video feed, an advanced motion detector and two-way audio that allows you to hear and chat with someone on the other side. Better yet, the Stick Up Cam comes in a number of different power modes, including wired, battery-operated and power-over-ethernet, that should give you some much-needed flexibility in where you can place the camera. The only drawback we’ve found with the Stick Up Cam is that video footage is only available to folks who pay for the Ring Protect package. The plan only sets you back $3 a month or $30 per year depending on how long you’re willing to commit to it, but without it you’re stuck with simple notifications when the camera detects movement. 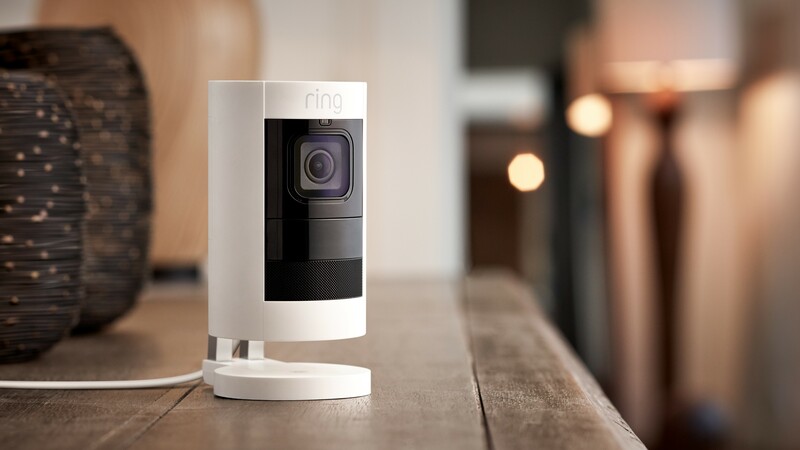 If you don’t mind being your own security guard, the Ring Stick Up Cam is a great value at $179 for the wired version of the camera. The Hive View is the latest camera from the smart home manufacturer behind the well-regarded range of heating control kits. A collaboration with designer Yves Béhar, the Hive View is one of the few security cameras we’ve ever seen that actually looks stylish, coming as it does in a choice of ‘champagne gold’ or black and ‘brushed copper’ finishes. Thankfully, as much effort has gone into the substance as the style, and the Hive View comes with some really cool features. Most notable is its detachable head, which allows you to temporarily move the camera – with its HD 180 degree field of vision – to anywhere you’d like in the house for as long as the on-board battery lasts, which is about an hour. Perfect if you want to keep an eye on the baby while cooking. The Hive View works with the wider Hive ecosystem, so if you’ve already got the Hive thermostat and sensors everything will work seamlessly together in the same app. Unlike most other security systems, the Arlo Go from Netgear has an interesting proposition: it’s totally wireless. It works using a 4G LTE signal rather than WiFi, which means it works whenever it has mobile coverage. Add to that its IP65-certified waterproof rating and you’ve got yourself a portable camera that really can go anywhere. Well, anywhere with mobile signal. Arlo offers limited cloud storage allocation for free, as well as a microSD slot. This sets it apart from similar security brands that charge for a subscription. Unfortunately, you do have to pay for a mobile data plan to get the Go up and running. Installation is easy peasy, just pop in a SIM card, sync it up with the Arlo App on your phone and you’re ready to go. You can place it anywhere and if you’re putting it outside you can screw it to a metal stand. Although we worry this could put it at risk of being stolen, that’s irony for you. 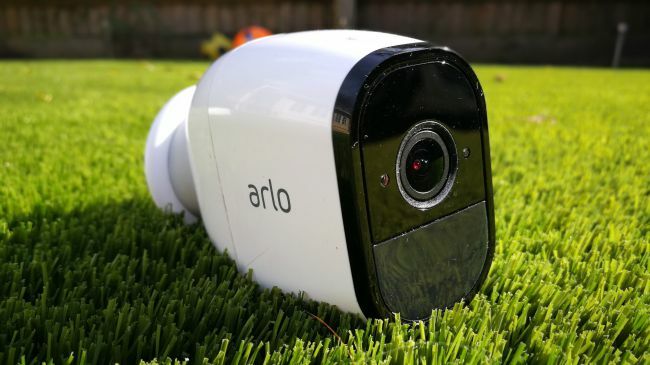 The Arlo Go records HD at 720p. Although this is lower than other cameras in our buying guide, many of us don’t really need best-in-class 4K recording on a security camera – especially if you’re trying to transmit that kind of data via 4G. It also has a bunch of solid recording features, including motion sensing, timing options and geo-fencing, which turns the camera off when you’re on your way home. The main downside is that it won’t get perfect 4G coverage everywhere, especially in the countryside where good 3G is sometimes hard to come by. And if it doesn’t have it, it just stops working as there’s no option to use a mobile hotspot or to connect to Wi-Fi as a back-up. The Nest Cam IQ has IQ in the name for a reason: it’s intelligent. Really intelligent. Not only can it notify you if there’s movement in your home, it can differentiate between people and animals, and – what’s really remarkable – it can even identify if it’s a familiar or unfamiliar person. The Nest Cam IQ also has the best image quality of any of the cameras we’ve tested, shooting in 4K and HDR (high dynamic range). If someone is in your home, you’ll have crystal clear images of them. 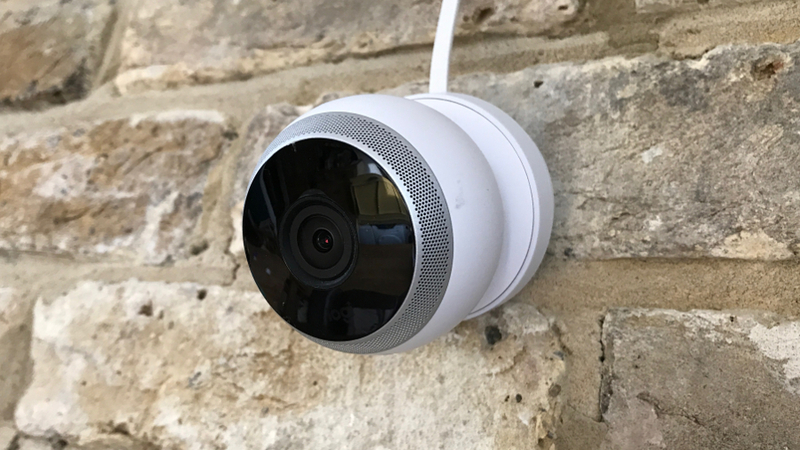 The main drawback with the Nest Cam IQ is its price. Not only is it fairly expensive to start with, to use its full range of functions you’ll have to purchase a subscription to Nest Aware. But if you want the best quality, and are prepared to shell out for it, the Nest Cam IQ is probably the camera for you. The Hive Camera is the original connected camera from Hive, and if you’re not bothered about the View’s swish looks and advanced features it may be more up your street. It’ll be lighter on your pocket too. The Hive Camera doesn’t work with the Hive ecosystem, and instead has its own dedicated app, which is either going to be a positive or a negative depending on if you already have Hive products, or are planning on building out from your camera purchase. What’s nice is that the Hive Camera has a slot for an microSD card so that you can record footage directly on the camera, with no need for a subscription. The design is more traditional, with a white plastic casing, and a black surround for the camera lens. It has some tricks up its sleeve, like being able to sound an alarm or even replicate the sound of a barking dog if you see someone in your house who shouldn’t be there. The Logi Circle lacks the integration with smart home systems that you’ll get with more advanced systems like the Nest Cam IQ. Rather, it’s a fun standalone option if you just want a security camera without any fuss. 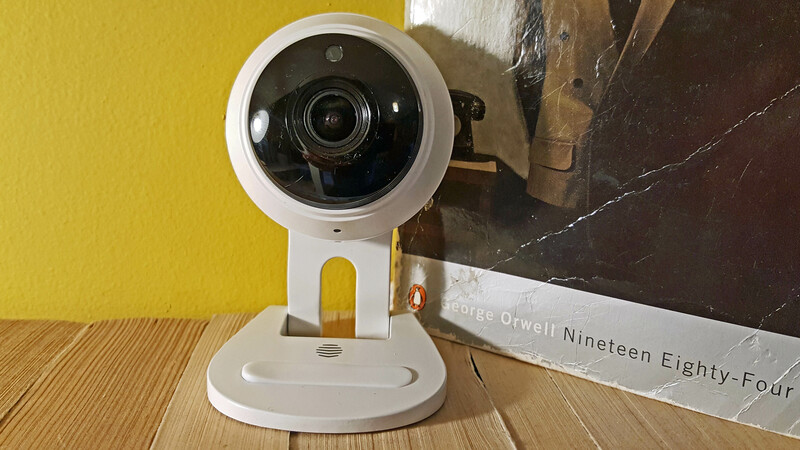 And yes, we did just say fun – it’s not a word you typically associate with home security, but that was our reviewer’s experience when spending time with the Logi Circle. It has some intelligent features that allow you to set zones in your home – so, for example, if you want to know every time your dog jumps up on the couch, you can designate the couch as a zone, and any movement in that zone gets included in your digitally edited highlights reel of the day. The camera only records footage where there’s movement or audio, so at the end of each day you don’t have to watch hours of footage to find the few moments where something actually happened. Like the Hive View it has an onboard battery, and so can be removed from its dock and used wirelessly for a short time. The Netatmo Presence is a definite statement of a security camera. Its hefty black body feels significant to hold, and is difficult to miss. This is both a strength and a weakness, as aesthetically it’s probably not going to complement your house design, but it does mean it’s a strong deterrent for anyone thinking about breaking in. 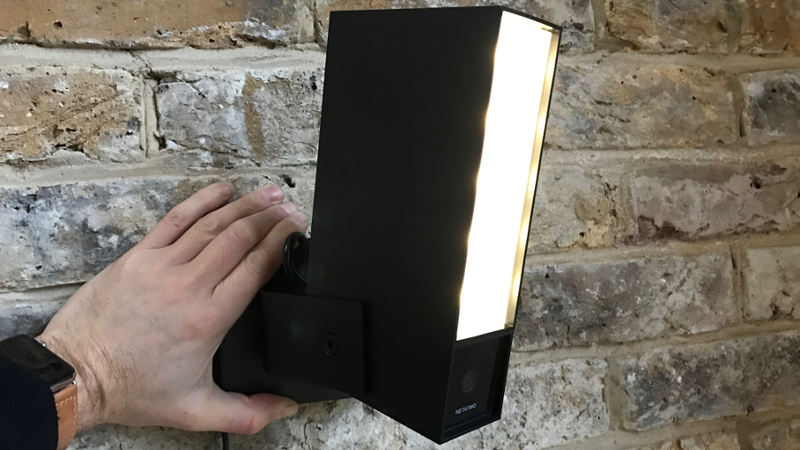 Adding to the deterrence factor is the powerful dimmable LED floodlight, which you can adjust to your specified brightness. The Presence itself is an all-metal unit waterproofed to IPX7 standard, so you don’t have to worry about it being outdoors in a storm. You can adjust your notifications so that you’re only alerted when the camera identifies a person (or animal, or car). One frustration is that the camera works over Wi-Fi, and that means it needs to be within communicating range of your router to work. A clear benefit is that the Netatmo has a slot for a microSD card, meaning you don’t have to pay hefty subscription fees to record video, so you can quite quickly recoup the price difference for the fairly expensive unit. The Nest Cam Outdoor is, unsurprisingly, the outdoor camera from Nest. 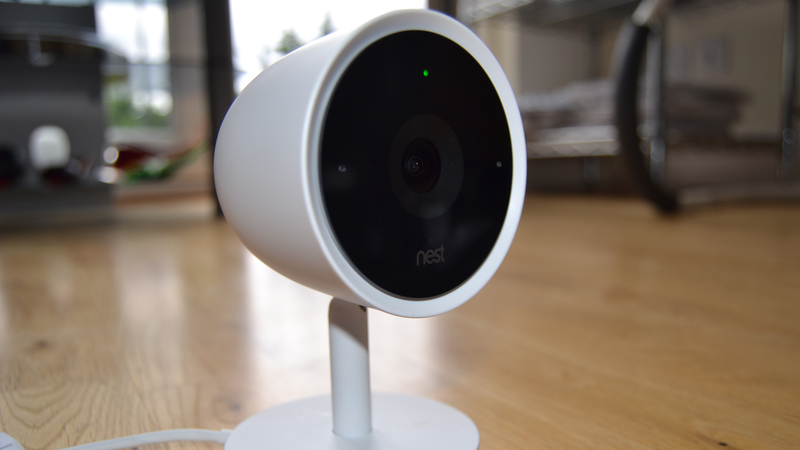 Much like its indoor counterpart, the Outdoor boasts brilliant image quality and a fantastic app – which is no surprise given Nest’s origins as a Google company, now existing as part of Google’s parent company Alphabet. 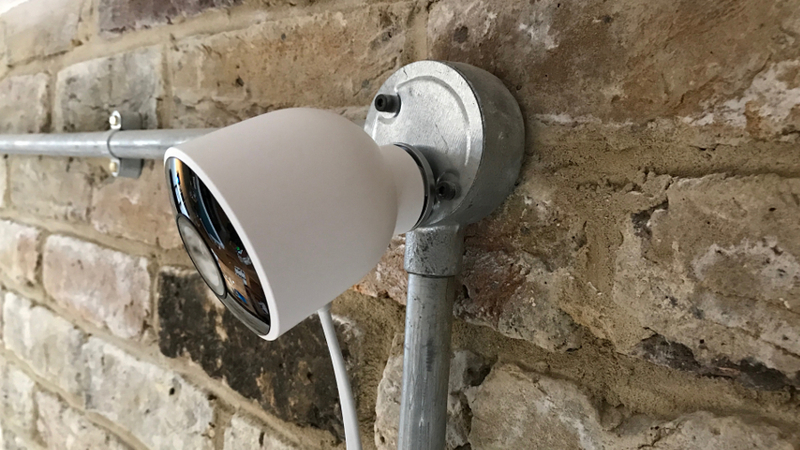 The Nest Cam Outdoor requires a subscription in order to unlock the full suite of features, but that’s fairly common with security cameras. 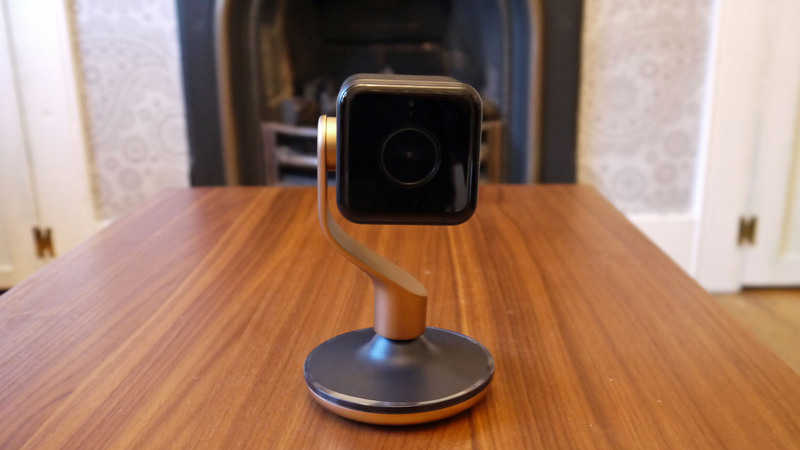 The one fault we have to pick with the Nest Cam Outdoor is that it connects to its base with a magnet, meaning a thief could feasibly pluck it from the base, and, er… steal it. Nest is obviously aware of this flaw, and there is an upgrade in the works in the shape of the Nest Can IQ Outdoor, which has the smarts of the Nest Cam IQ (above), but is ‘tamper-proof’. A claim we’ll be sure to put to the test when it comes out.